In April 2011, Colonel Schenecker would recognize an opportunity that would forever solidify the trajectory of the family’s efforts. Close friends would invite him to attend the "Fine Arts Competition Showcasing Hillsborough High School Students," hosted by Hillsborough Community College (HCC), Dale Mabry Campus. The twelve-year-old competition was a showcase of Hillsborough County high school students’ artistic talents where students would submit works of art to their teachers for review and selection for the few that would compete at the County level. The pieces were then provided to HCC for a blind judging (students’ name and schools were removed from the pieces prior to judging) and after the pieces were displayed in Gallery 221 @ HCC for the month, the 1st, 2nd, and 3rd Place entries would receive various awards, gifts and art supplies. After only a few minutes at the event, Schenecker knew exactly what needed to be done…and that night he asked for a meeting with Dr. Adrienne Garcia, Executive Director of the HCC Foundation and with Dr. Mary Bendickson, Dean of Associate in Arts (Humanities) to discuss ways for the Schenecker Memorial Fund to endow the existing program with scholarship money. Shortly thereafter, the Showcase was renamed Calyx Schenecker Art and the program now awards over $2500 in HCC scholarships annually to winners in 2D, 3D and photography categories. 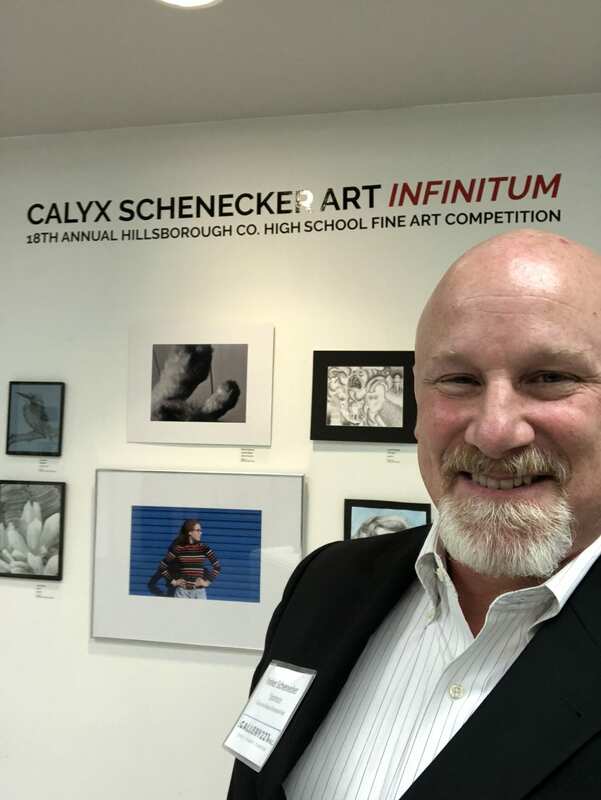 Due to the success of the program in Hillsborough County, starting in 2017, The Memorial Fund teamed with the St Petersburg College (SPC) Foundation to sponsor a second session of Calyx Schenecker Art Infinitum at the Crossroads Art Gallery at SPC for Pinellas County art students. The winners of the 2D and 3D categories receive scholarship money to attend SPC. 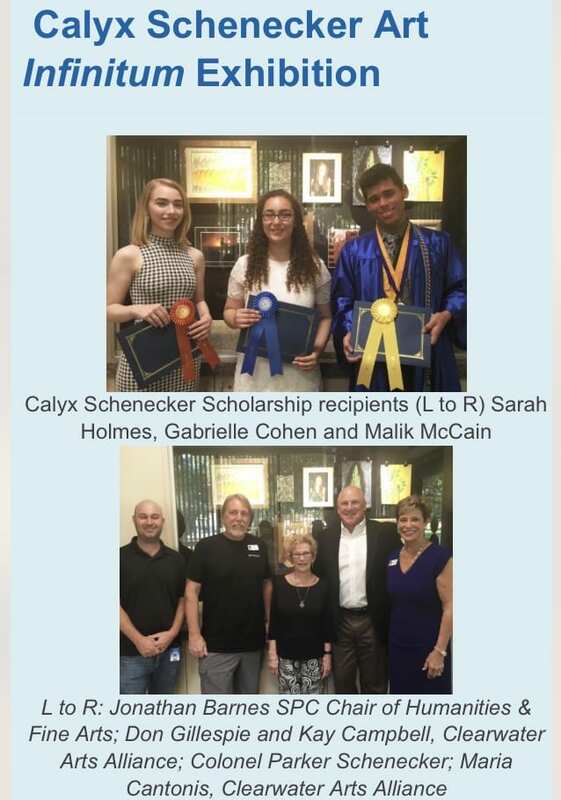 The Calyx and Beau Schenecker Memorial Fund within the Community Foundation of Tampa Bay annually awards two (one male/one female) $2500 leadership scholarships in memory of Beau, who was the epitome of leadership, teamwork and sportsmanship. High school graduating seniors that plan to attend a post-secondary institution. A former member of FBLA Middle Level. A record of school and community involvement, leadership, and good character.